China’s fluoride giant Do-Fluoride has announced the fundraising for a new Li-ion battery project, demonstrating its plan to set up a whole industrial chain for AEV products. China’s alternative energy market is the largest worldwide, with many companies try to get a piece of the cake. In the middle of January, China’s Do-Fluoride has announced to the public, that it will raise the money for its planned Li-ion battery production line by a private placement. The company needed to wait for the approval by the China Securities Regulatory Commission, which was granted one day before the announcement. According to the announcement, Do-Fluoride will raise slightly more than USD260 million to invest in the new project. The company seeks to increase their technical competitiveness against other players in China’s booming Li-ion battery and AEV market. Besides, through the share issuance, the company can optimize and enrich its business structure, improve the production system so as to achieve the coordinated development of fluorine chemical industry and new-energy industry. The new project is representing a further step for the company into the whole industrial chain of AEVs. The management aims to achieve the whole range of supply chain by providing the materials from raw lithium Hexafluorophosphate to the end products in the AEV sector. Do-Fluoride stated that through this private placement, it would make full play of its technical advantages and catch the opportunities brought by the rapid growth of AEV industry so as to stand still in the market of Li-ion battery and related materials. Do-Fluoride sees high potential in China’s AEV industry. According to market intelligence firm CCM, China’s AEV market was indeed booming in 2017, showing a production growth of more than 50% compares to 2016 and a sales volume increase by a similar percentage. The biggest growth was hereby seen in the market for battery electric passenger vehicles, whose production rose by more than 81% and sales volume witnessed a growth exceeding 82%. China is the largest market for Li-ion batteries worldwide. The total installed battery capacity of AEVs in 2017 was about 36.4GWh, up by 29% YoY. The total installed capacity of top 10 battery companies reached 26.81GWh, representing 74% of the whole. For 2018, it is expected that the growth of the AEV industry is slowing down, whatsoever. A big challenge, industry players are facing is the continuously changing subsidy policy by the government. The uncertainties that are resolving out of it are slowing investments down and leave many manufacturers to stick to the standard requirement instead of investing in new research and development. For example, In early January 2018, the government convened four ministries, association experts and representatives of major enterprises to discuss on the adjustment of subsidy for AEVs in 2018, intending to advance the implementation of the subsidy standard originally expected to be launched in 2019. According to the latest information, in 2018, the subsidy scheme for AEVs will be elaborated further. The battery range and density will be further classified and subsidy amount will be set accordingly. Do-Fluoride Chemicals is a major player in the global fluoride market, based in China producing and selling fluoride products. Part of the product portfolio of the company is anhydrous hydrogen fluoride, cryolite, anhydrous aluminium fluoride, potassium fluoroaluminate, sodium fluorosilicate, and sodium fluoride. 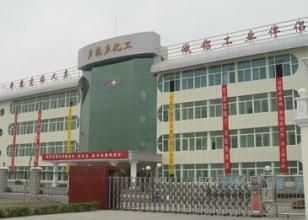 It also provides lithium-ion battery materials, battery products, and LED products. All in all, Do-Fluoride is principally engaged in the research, production and distribution of inorganic fluoride products. The Company's cryolite products are primarily used as a slagging medium in aluminium electrolysis, wearproof filter of rubber and grinding wheel, as well as slagging medium in ceramics and glass manufacturing. Its aluminium fluoride products are mainly used as a slagging medium in aluminium electrolysis, inhibitor in alcohol manufacturing, fusing agent of nonferrous metal, as well as a slagging medium of ceramic glaze and porcelain enamel. On 9 January 2018, Do-Fluoride announced that it won the National Science and Technology Progress Award on the day before with its "high-purity crystal lithium hexafluorophosphate (LiPF6) key technology development and industrialisation" project. Nowadays the company is one of the world's largest LiPF6 suppliers, taking 35% of the domestic market and 20% of the global market. The company furthermore announced its re-determination as a high-tech enterprise with a certificate valid from 2017 to 2019, granting it a favourable treatment in corporate income taxes. The information from this article comes from CCM, China's leading market intelligence provider for the fields of agriculture, chemicals, food and feed. Get your monthly premium insights in China's fluoride and Li-ion battery market by subscribing CCM's Fluoride and AEV Newsletter. Join the discussion by getting part of Chinese chemicals LinkedIn group or Facebook group.